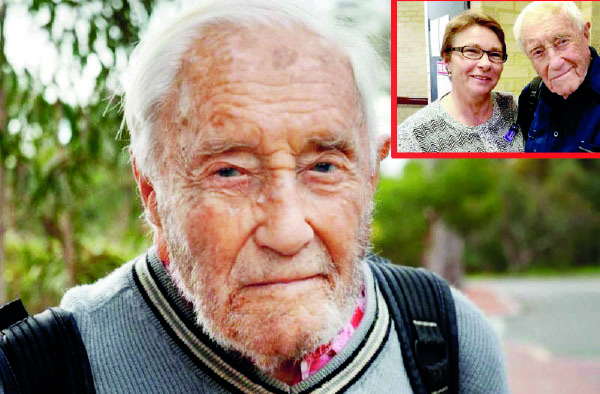 A 104-year-old scientist, David Goodall, yesterday bid farewell to his home in Australia to fly across the world to end his life. The lauded ecologist and botanist is not suffering from a serious illness but wishes to bring forward his death. Key to his decision, he says, has been his diminishing independence. “I greatly regret having reached that age,” Dr Goodall said on his birthday last month, in an interview with the Australian Broadcasting Corporation. “I’m not happy. I want to die. It’s not sad particularly. What is sad is if one is prevented.” An online petition raised $A20,000 (£11,000; $15,000) for the scientist to fly in business class to Europe. He will visit family in France before heading to Switzerland with his closest relatives. Assisted dying was legalised by one Australian state last year following a divisive debate, but eligibility requires a person be terminally ill. It is illegal in other states. Dr Goodall said he will travel to a clinic in Switzerland to voluntarily end his life. However, he said he resents having to leave Australia to do so. The London-born academic had lived on his own in a small flat in Perth, Western Australia, until only a few weeks ago. He stepped back from full-time employment in 1979, but remained heavily involved in his field of work. Among his achievements in recent years, Dr Goodall edited a 30-volume book series called Ecosystems of the World and was made a Member of the Order of Australia for his scientific work. In 2016, aged 102, he won a battle to keeping working on campus at Perth’s Edith Cowan University, where he was an unpaid honorary research associate. Accompanying Dr Goodall on his journey out of Australia yesterday was his friend, Carol O’Neill, a representative from assisted dying advocacy group Exit International. Mrs O’Neill said the dispute in 2016 over Dr Goodall’s working space had affected him greatly. The row began when the university raised concerns about his safety, including his ability to commute. Although Dr Goodall ultimately prevailed, he was forced to work in a location closer to home. It came at a time when he was also forced to give up driving and performing in theatre, Mrs O’Neill said. Dr Goodall’s decision to end his life was hastened by a serious fall in his apartment last month. He was not found for two days. Later, doctors said he needed to engage 24-hour care or be moved into a nursing home. Mrs O’Neill said Dr Goodall’s main desire was to die peacefully and with dignity. “He’s not depressed or miserable, but there’s just not that little spark that was there a couple of years ago,” she said. Mrs O’Neill said he had spent recent days revising his final letters and holding conversations with his extended family, including his many grandchildren. Dr Goodall’s story has gained attention locally at a time when his home state, Western Australia, considers whether to debate assisted dying legislation. The state government has publicly expressed sympathy for Dr Goodall, but said any proposed legislation would cover only terminally ill patients.”My feeling is that an old person like myself should have full citizenship rights including the right of assisted suicide,” Dr Goodall said last month.